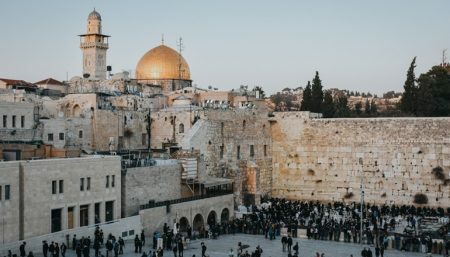 While the sporting competition is the main event at the Maccabiah games, the many events that take place surrounding the games are vibrant in their own right, offering a unique opportunity to experience the cultural fabric of Jerusalem. Events will be taking place across the city at venues like the First Station, Beit Mazia, the Jerusalem Artists House, Nocturno Live and art galleries in the Hutzot Hayotezer artists colony, where you’ll be able to catch live music, art exhibitions, theater performances, lectures, community gatherings and more. The opening ceremony of the 20th Maccabiah Games is being held on Thursday, the 6th of July, 2017 from 8 pm – midnight. The opening event will take place at the Teddy stadium in Jerusalem, making it the biggest Maccabiah opening event ever! The ceremony will also be live broadcasted in The First Station, which will serve as the Maccabiah Hub for the course of the Maccabiah games. Get the full Israeli cultural experience at the Open Weekend in The First Station! The First Station welcomes the Maccabiah participants with a large variety of activites and special offers. A farmers market and a designers market will be held all day during Friday. 1 pm – Friday party at the Beer Garden – Maccabiah participants get 1 for 1 for every burger meal. Those of you who enjoy classical music performances will find a great variety of classical and vocal concerts at the Jerusalem Symphony Orchestra. Advance registration is recommended. Check out their full calendar here. Tickets: Maccabiah participants: 45 ILS ; Family members: 75 ILS. The Nocturno is one of the hottest cafes in Jerusalem’s city center. Every night the place hosts Israel’s most talented musicians and poetry slam artists. Maccabia’s participants get special discounts, so make sure you show your card at the door. Sparks of Light – A fascinating cabaret of light with poems by Israel’s most eloquent writers, and interactive stand-up comedy with the world famous fusion musician Yossi Sassi joins and the Angel Dance Company under the direction of Theatre Company Jerusalem’s prize-winning artistic director Gabriella Lev. When: July 10, 2017 at 9 pm. Love Test – Reality vs. imagination in terms of memory and time. An extraordinary performance of film, theater, dance and narrative. When: July 13, 2017 at 8:30 pm. *For more music events and concerts, check out Abraham Hostel and Brigham Young University. A culinary experience that combines folk stories with a Cuscus making class given by the poet and story teller Shoshana Karbasi. Visit Shanina Touson’s studio, participate in a special art program in Spanish and English and eat gourmet kosher food. Start your day (or end it…)with an energy boost that will get your endorphins going at the First Station sports program: yoga classes, cardio session, Krav Maga, and more!